The Acronym Template is a great way to break down acronyms in an interactive and effective way. 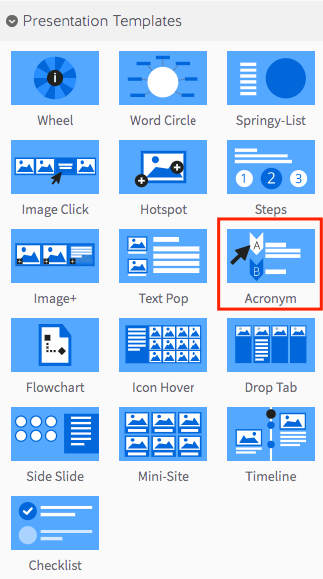 Step 1: Select the Acronym Template from the ‘Presentation’ panel. Step 2: Drag your Acronym Template into the Lesson Pathway. 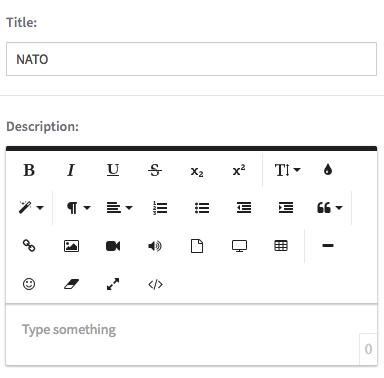 Step 8: To start building your Acronym Template, select the green ‘Add New Letter’ button. 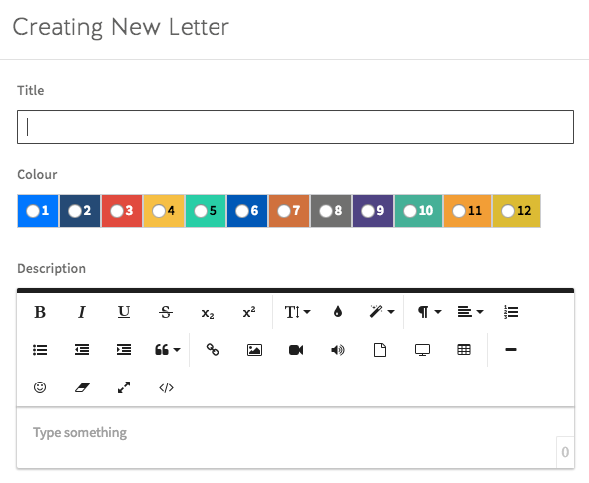 Step 9: Enter a title, colour, and description for your new letter. Note: To add additional letters, simply repeat the process. You can re-order each letter by using the ‘drag and drop’ handles on the left. The order they’re displayed in here is the order that will be displayed to Participants.